PARK Sung-woong and JIN Young will swap roles in next year’s body swap comedy The Man Inside Me. From director KANG Hyo-jin, the film also features LA Mi-ran and LEE Soo-min in her film debut. In a plot reminiscent of last year’s smash hit Luck-Key, a teenage boy takes a tumble off a roof but rather than heaven he finds himself in the body of a burly gangster. 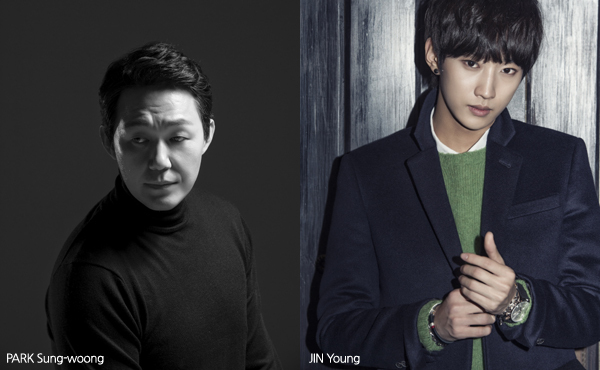 JIN, a member of the K-pop group B1A4 who appeared in 2014’s Miss Granny, will play the boy while the older criminal role is being taken on by veteran actor PARK Sung-woong, known for New World (2013) and The Shameless (2015). He’s back on screens at the end of the month in PANG Eun-jin’s Method, which debuted at the Busan International Film Festival a few weeks ago. Prolific character actress LA of Ode to My Father (2014) and The Tiger (2015) will play a former flame of PARK’s character, as well as the mother of TV actress LEE Soo-min’s teenage girl, a friend of the boy who switches bodies. Also in the cast are supporting actors LEE Jun-hyeok (The Mimic) and KIM Kwang-gyoo (The Sheriff in Town). Director KANG has been prolific in his career, with The Man Inside Me marking his seventh outing. His previous films include Twilight Gangsters (2010), Dirty Blood (2012) and 2015’s Wonderful Nightmare, another high concept body swap family comedy. The Man Inside Me began filming on October 23rd. EchoFilm is handling production following previous credits such as Bestseller (2010) and Broken (2014) and will release the film next year.